What got me started this week was the necessity to make room in one of my freezers for two 12-pound turkeys. That meant I needed to cook a few things to make space, and that started with my favorite quiche recipe¹. It’s an oldie — I’ve probably been making this for *coughnottelling* years! I had a frozen, store bought, GF pie crust² in the freezer, which is perfect for quiche. I’ll admit, I used to do my all of my pastry from scratch — and I still do, if I’m baking a pie (more about that in a minute) — but for convenience, this one is really good and it’s delicious. Preheat oven to 375. Cook the bacon until crisp (stir to separate during frying) and drain. Drop the 2 whole eggs and 2 egg yolks into a medium-sized mixing bowl and whisk to combine; add the cream, 6 tablespoons of the cheese (reserving 2 tablespoons for topping the quiche), the salt, ground pepper to your taste, the mustard and half the cooked bacon (reserving the other half for the topping). Stir together thoroughly. Place the partially cooked pie shell on a lined baking sheet/jelly roll pan (for easy cleanup) and ladle the filling into it. Dot the top with the butter bits. Bake the quiche, undisturbed, in the oven for about 30 minutes or until the custard is firm (but not too firm, the center should move slightly when the pan is shaken) and the top lightly browned. 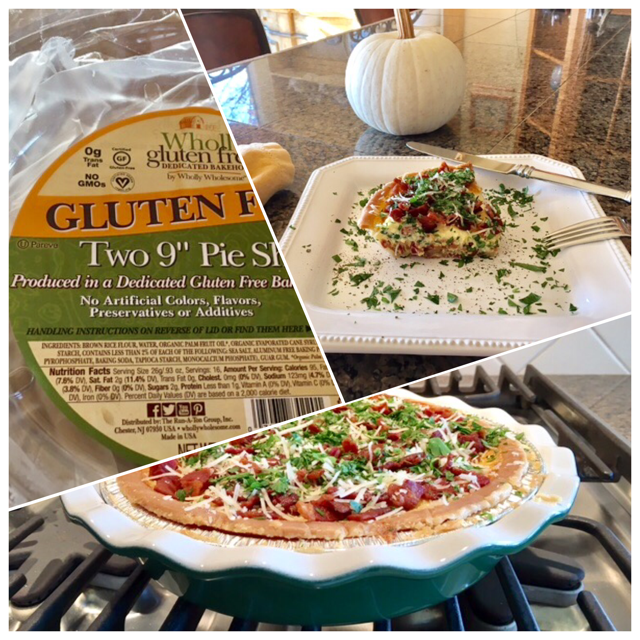 (If you are using a tart pan, you can unmold the quiche, otherwise slice and serve from the pie dish.) Top the quiche first with the reserved bacon, then the reserved cheese and, finally, with the chopped parsley. Serve immediately, or it can rest and be served when it’s lukewarm. It also reheats well (about 30 seconds on high in the microwave, I learned this morning). Some of you know I’ve been pining for a GF puff pastry³ and had just about screwed up my ambition to try making it from scratch when, lo and behold, I found some in the freezer section of two local stores. Again, taking up space in the freezer. Let’s try some recipes! So excited! I found a great site with easy puff pastry recipes. It was mid-morning and I hadn’t had breakfast, so I started with the Cheesy Baked Eggs (recipe at the link). It won’t surprise you that the only object I had in my kitchen that measures 4 1/2 inches across (to make the rounds) was a martini glass. Worked great. I learned that I didn’t score the pastry deeply enough to get the distinctive raised edge, so I’ll be more aggressive next time. They’re so rich, I couldn’t eat two. Also, I only got two rounds out of one puff pastry sheet, so this isn’t a recipe I’d recommend for a houseful of company, but a small gathering? Absolutely. 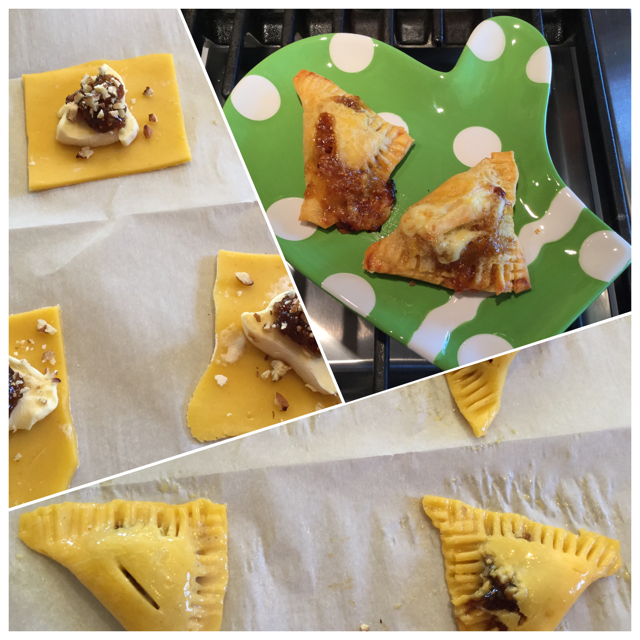 Next, I made a few of the Baked Brie Bites with Jam. I used d’Affinois cheese because I almost always have some in the fridge, and fig jam. I opted to use toasted, chopped pecans, as well. I was using what was left from one sheet of the pastry, so my squares were a little wonky, but this is Puff Pastry Lab 101, experimentation is the point. I actually got one to look like the pretty picture, but I ate an ugly one and it was sooooo goooooood. These would make great party appetizers (use a whole package, 2 sheets of puff pastry dough). 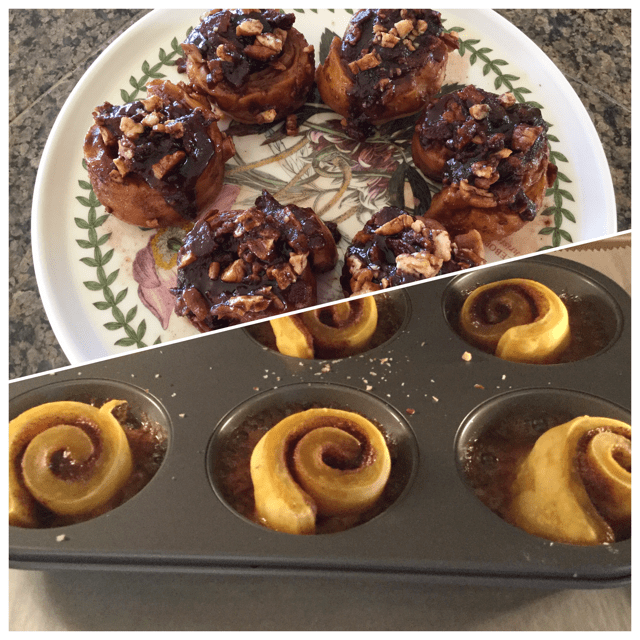 After I rested and digested all the butter, eggs and cheese, I went back to use the last sheet of pastry dough for the Easy Sticky Buns with Bacon. O.M.G. Easily the best recipe of the three. And the one I’d make for holiday company because the full recipe (2 puff pastry sheets) makes 12 sticky buns. Combine ice water, sour cream (or yoghurt) and vinegar together in a bowl. Process the flour blend, sugar, salt and xanthan gum in a food processor until combined (about 5 seconds). Scatter butter over the top of the flour mixture and pulse until butter is the size of large peas, about 10 pulses. Pour half the sour cream(yoghurt) mixture over the flour mixture and pulse until incorporated, about 3 pulses. Pour remaining sour cream(yoghurt) mixture into the flour mixture and pulse until the dough comes together, about 6 pulses. Turn dough onto a sheet of plastic wrap and flatten into a 5-inch disk. Wrap tightly in the plastic wrap and refrigerate for an hour. Before rolling out the dough, let it sit on the counter for about 15 minutes to soften slightly. Roll the dough between two sheets of plastic, remove the top sheet and invert over a 9-inch pie plate (now the second sheet of plastic is on top). Work around the circumference of the dough, pressing the dough into the bottom of the pie plate with one had while lifting the plastic sheet with your other hand. Remove the plastic sheet and trim excess dough leaving enough overhang for your preferred method of fluting around the rim of the pastry. Tuck the overhang and flute the rim. Wrap the completed pastry in plastic and freeze until fully chilled and firm, at least 15 minutes or up to 1 hour. This pastry tastes like shortbread to me — perfect complement to pecan pie (my favorite) — or whatever your favorite flavor might be. Do you do a lot of holiday baking? Any tips or recipes you’d like to share with the class? 1From Michael Field’s “All Manner of Food” cookbook, ©1970, Alfred A. Knopf, Inc. publisher. 2The brand is “Wholly gluten free” and not only is it GF, but it’s dairy, casein, egg, soy, peanut, tree nut and sesame seed free. How does it actually have any texture or flavor, you ask? I’ve no idea. 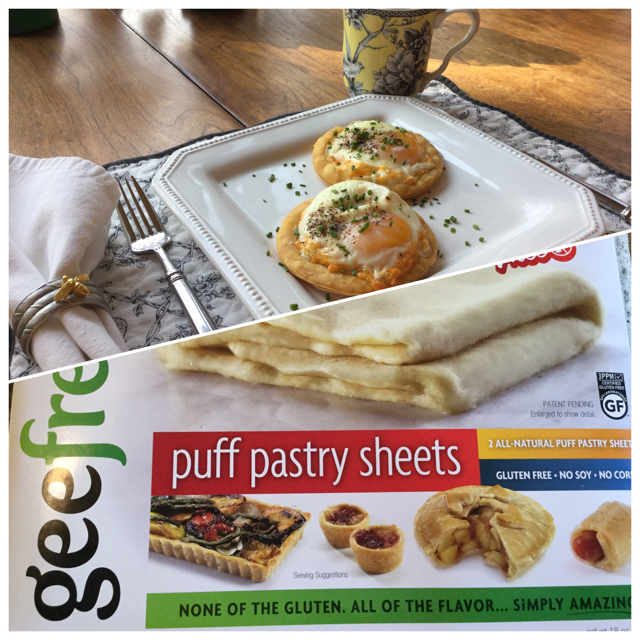 ³The brand is “geefree” puff pastry sheets, GF, soy and corn free. I have to find that puff pastry! 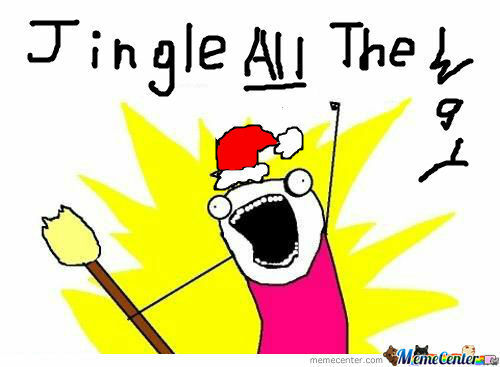 Then I’m trying all the things! Another quick and easy appetizer with puff pastry is to wrap olives (seeded, obviously, and stuffed with whatever you like) in puff pastry and bake. Oh my! Trying that, too! Really easy, Sally! And they look and taste fancy. Leave a reply on "Some Gluten Free Yum for the Holidays"